Antico Eremo is an Italian company opened in 1978. They produced tea and juices concentrate in the beginning. Then expanded their product line to include gelato and desserts. These products are raw materials to be used in the making of ice cream and super sprint desserts. As an ice cream supplier, the company’s Super Sprint powdered Line is a favorite of gelato makers who are looking for a streamlined product. This simple two-step product produces frozen desserts only needing to have the addition of heavy cream, milk or water. This mix includes sugar, the base, flavor, stabilizers, and emulsifiers that are needed to preserve the shelf-life, to stop icing or fast melting. The ease of this product line removes the need for any measuring and allows for the exact same consistency every time and is just what ice cream wholesale companies are looking for. 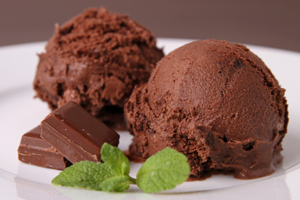 Customers who own restaurants, as well as other ice cream makers are the growing market for these raw materials. All this company’s products are gluten free as well as 100% natural ingredients with no artificial coloring or aromas. For the safety and security of all their products, their high-quality ingredients are non-genetically modified with any organisms (no GMO). These ingredients are only from the very best quality available with high percentages of fruit and are 100% made in Italy. Gelato has been a mainstay in Italian desserts for years and is now rapidly spreading to American ice cream stores and restaurants. This dessert makes a great finish to any restaurant meal and is especially the perfect dessert for pizza. Gelato typically contains less air and more flavoring than other kinds of frozen desserts. This company offers their customers private label customizing their products packaging with your brand logo and colour for a unique product. They can customize ingredients and recipes to also meet any need. The strict procedures of this company’s production cycle are subject to the complete traceability of ingredients, from processing to packaging until the final sale through the identification of the number of production lot and expiry date. Food safety is Antico Eremo’s top priority and they believe in transparency. In July of 2013, this company opened in Charlotte, North Caroline to export products for the market in the United States.